The day of course started with the normal cattle herd and a long wait to get into the keynote. Maybe it is just me, but there seems to be more people at Build this year than there was last year. This place is crazy busy! This year Build 2017 kicked off with a big focus on what they called the “Opportunity & Responsibility” that developers have. We commonly hear that it has never been a better time to be a developer. I would agree with that! Microsoft’s current mission statement is all about empowering the world to achieve more. That was the driving theme of the keynote today. They also touched on the responsibility side of it. We need to ensure that we are doing things for good that help people achieve more. In other words, let’s avoid evil or surveillance type innovations and time wasters like Flappy Bird. Here is a recap of some of the biggest announcements from day one at Microsoft Build 2017. Developers can now build their IOT apps in Azure and then package them up to deploy on a IOT device in the field. This allows devices to work without Internet access or poor Internet access and still execute AI and analytics. The devices can then sync data back to Azure when Internet access is available. 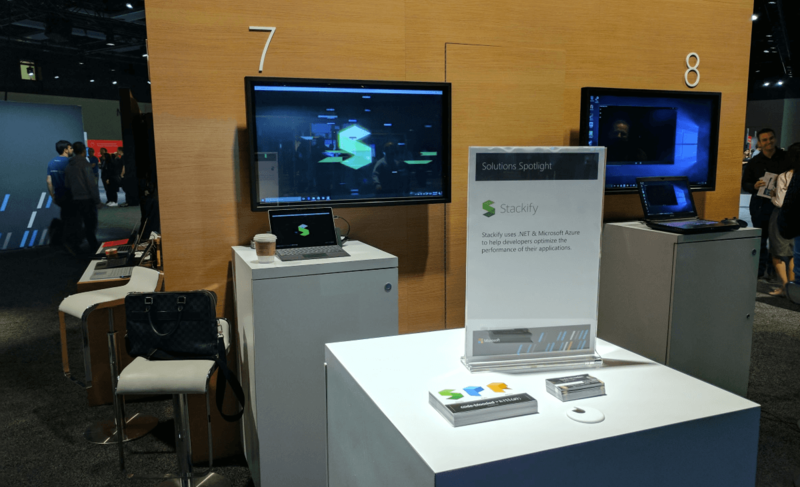 Microsoft showcased an example of monitoring industrial machines and using IOT Edge to reduce latency. 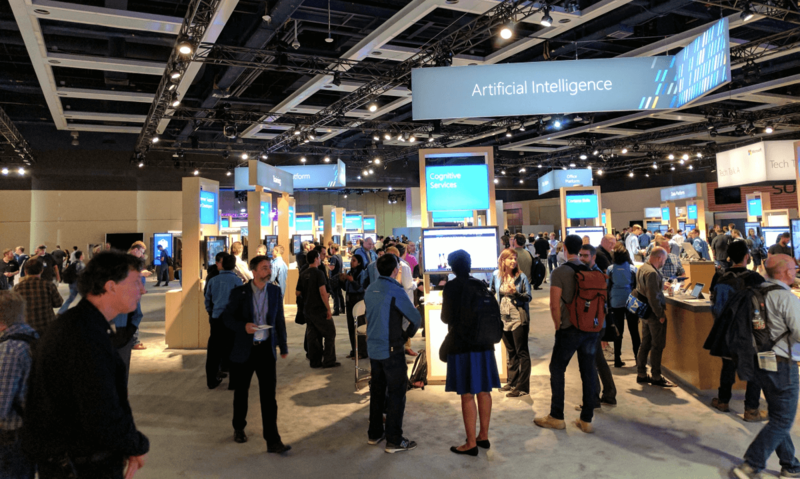 When the IOT device recognizes that it needs to shut down a machine, it can do it in near real time on the “intelligent edge” as Microsoft referred to it. Rumors related to this first surfaced back in January. Today, Microsoft launched the new Azure Cloud Shell. It appears to be a pretty full blown bash shell and they mentioned that a PowerShell version was also coming soon. Cloud Shell will make it a lot easier to access the Azure command line. This is especially nice for developers like me who don’t use the command line a lot. It removes the barrier of having to figure out how to install and configure a command line tool. Microsoft now provides an official Azure app for iOS and Android devices. My team immediately downloaded this after they said it on stage. They were excited to have some basic Azure management capabilities in their pocket. This is handy for those of us who spend time on call. 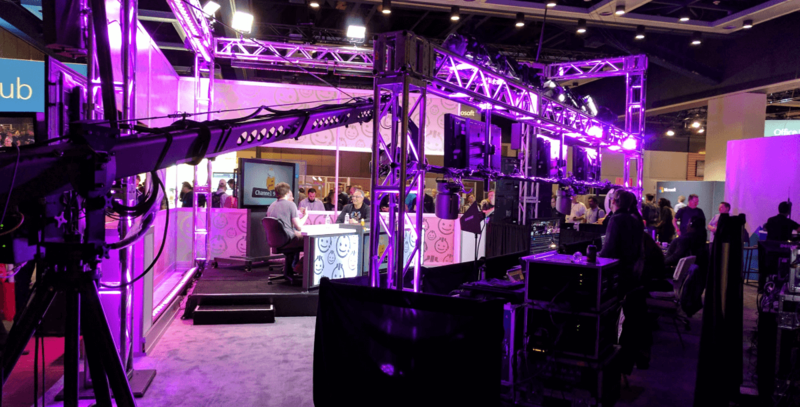 Microsoft demoed a new way to do remote debugging with Visual Studio and Microsoft Azure. The key thing is it doesn’t cause any major performance problems to debug a production application! 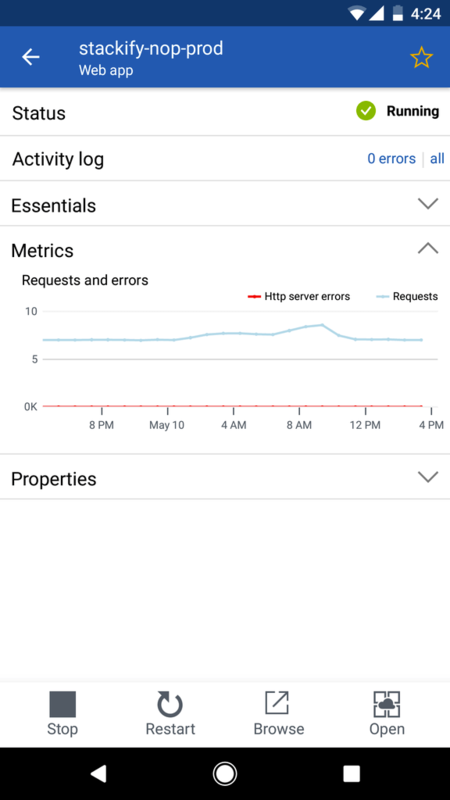 It works in combination with Application Insights. It appears to work by taking a lightweight memory snapshot that can then be replayed and stepped through within Visual Studio. It seems a little like Intellitrace. It is finally official. Developers can now use the full power of Visual Studio on the Mac. It can be used for building Xamarin, Unity, .NET Core and other types of applications. For some types of apps, moving to the cloud can be a tough process. Microsoft’s new migration service is designed to help make this process easier. It is designed to simplify moving a SQL Server, Oracle, or MySQL database to Azure. Hopefully, this will streamline the process for some people still trying to figure out how to make the leap to the cloud. Until today, SQL Server was the only database available in the Azure cloud. Microsoft now officially supports PostgreSQL and MySQL as part of their Database-as-a-Service offering. This further helps their story with open source developers and getting them to adopt Azure. One of the biggest announcements of the data is the new Cosmos DB. It is essentially the next generation of DocumentDB. It enables to developers to use it as a graph, document, columnar, and key-value database. It is designed to work at massive scale and replicate across data centers. One of the things they talked up was five different ways to do data consistency. Sometimes technologies get created that are so flexible that they can be hard to understand. I feel like Service Fabric is one of those things. It can potentially be used to run a wide array of applications across Windows and Linux. I believe that Service Fabric already supported containers, but now it officially does. It was probably possible before with some command line hackery but is now a first-class citizen. Cognitive services now supports 29 APIs including new customization abilities. They demoed some awesome capabilities around being able to build customized photo recognition capabilities. One of the hardest things with bots is getting them to return proper responses for different channels that they can be accessed to. The UI for Skype versus Slack is very different. Microsoft now has an answer for this with new adaptive cards. It allows you to design the UI once and it automatically formats it for each channel. Stackify was fortunate enough to be spotlighting as a solution within the expo part of Build, also called “The Hub”. Thanks to all of you who came by to say hi and pick up some free swag. One of the best things about Build is being able to talk to all of the Microsoft experts. It is so nice to be able to talk to the team who makes the Cosmo DB to pick their brain about how we could best use it. 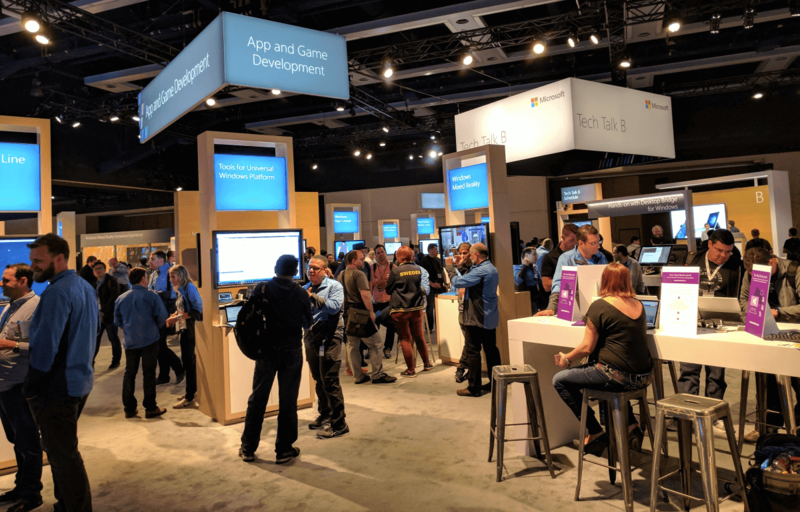 Here are a few photos from The Hub at Build 2017. 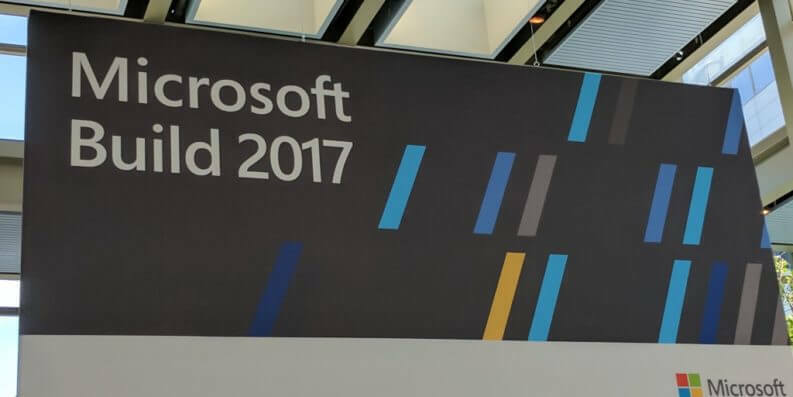 We hope you enjoyed our Microsoft Build 2017 review for day one. If you couldn’t make it to Build, this should give you a good list of things to look up and learn more about. Microsoft has not slowed down their pace of innovation when it comes to cloud computing and developer tools.